Christmas is fast approaching and there are only a few days left to submit CD and DVD replication orders for pre-Christmas delivery. 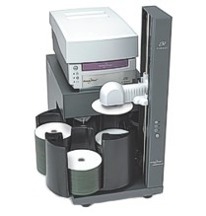 Our present leadtimes on replication of CD and DVD bulk supply is 7 working days. For DVD in cases or CD albums the leadtimes are slightly longer at 10 working days. So, for all our customers looking to receive replication orders before Christmas it is essential we receive all production parts over the next couple of days. As always we require a CD or DVD master to be posted to us whereas artwork can be submitted electronically using our “You Send It” dropbox. Due to these vert tight Christmas schedules please ensure you check all artwork and masters before submitting your order. The most common delay during replication orders is due to problems with artwork specifications. Please be certain your artwork is to correct specification before submission. Particular issues to check are that the artwork contains 3mm bleed and that the colour mode used is CMYK. Also, please always submit your artwork over our templates and save your artwork as a high resolution PDF with any text turned to outlines, paths or shapes wherever possible. Converting text to outlines avoids any font compatibility issues and ensures crisp text print results. This entry was posted on Friday, December 4th, 2009 at 11:14 am	and is filed under CD Replication Articles.